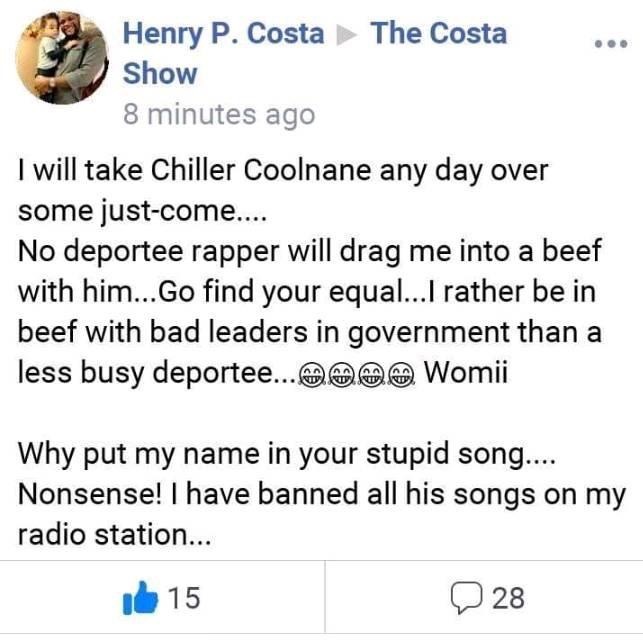 Root FM Ceo and host of "Costa Show", Henry Costa, posted on social media that all of Bucky Raw songs are banned from his radio station, after he learnt that the deported rapper mentioned him in his latest diss song, "Warning Shots". In "Warning Shots" Bucky accused Henry Costa of messaging his girlfriend "Dee Raw", who is the mother of his daughter. 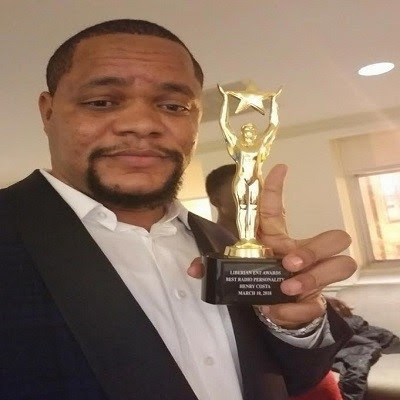 Henry Costa immediately responded, saying that Bucky Raw songs will no longer be played on Roots FM. Costa also stated that he prefer Coolnanee than Bucky Raw, who he referred to as a "Less Busy Doportee." Shortly after posting the message, Henry Costa deleted his post. Check out the screenshot below. Hahaha..Buck bust the man secret so hesh reacting the best way he knows how to.